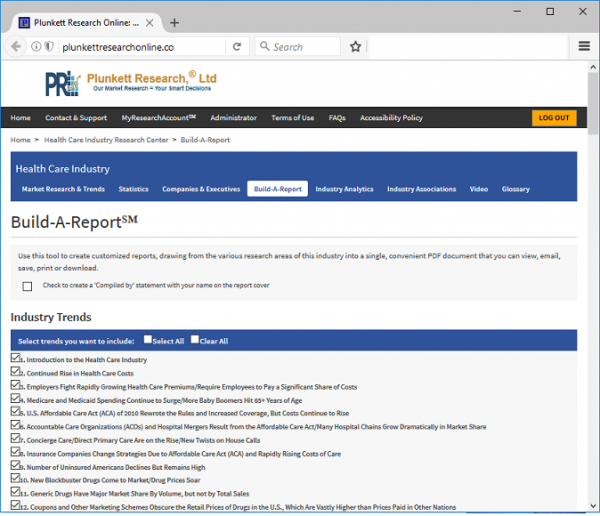 Plunkett's Build-a-Report tool builds custom industry reports and summaries in PDF - Plunkett Research, Ltd.
With a few clicks of the mouse, you can create a custom Industry Guide or Executive Summary in PDF format. Access to this tool depends on the level of subscription. 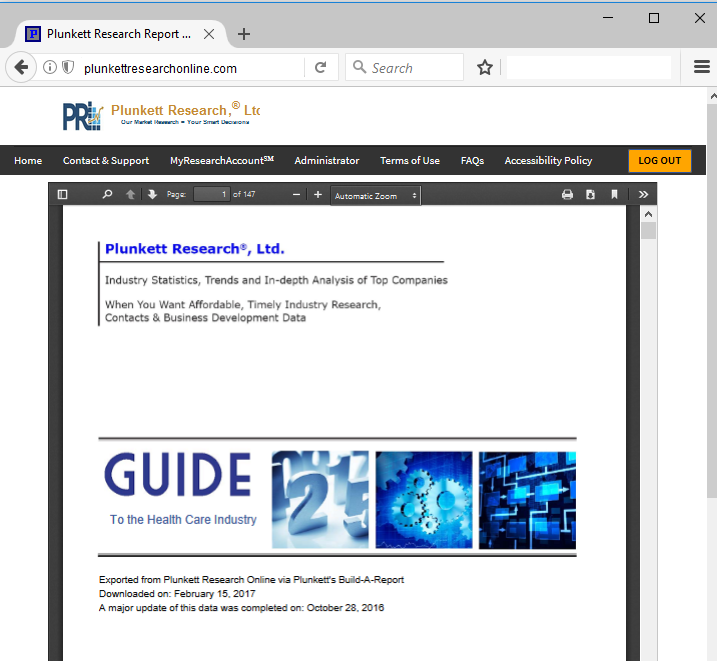 Subscribers to the Professional Editions and Enterprise/Library Editions of Plunkett Research Online have access to our fantastic Build-a-Report SM.